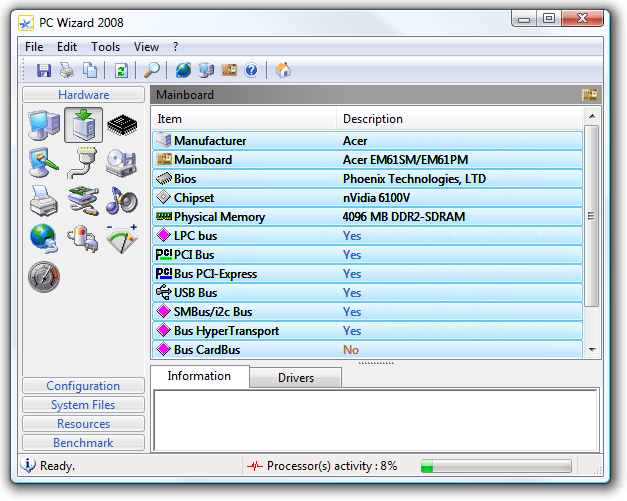 We’ve written previously about how to figure out what type of memory your computer has installed using the great System Information for Windows utility. Today we’ll show you a utility that goes a step beyond that with even more features. 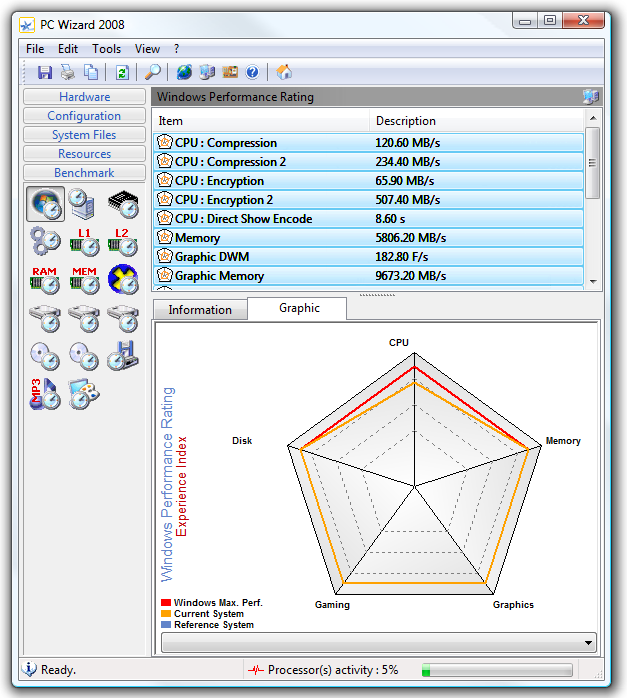 PC Wizard 2008 is a freeware utility that not only gives you analysis of your hardware and software, but what puts this one over the top is the ability to also run some simple benchmarks of your computer, including CPU, RAM, Hard Drive and more. First let’s take a look at some of the features available in PC Wizard 2008. When you open the application (it will take a moment to analyze the system) you are presented with a nice easy to navigate interface, with the hardware section displayed by default. The various icons on the left hand side give you quick access to all the different sections available for analyzing. The great thing is PC Wizard is a suite of individual utilities all captured in one application, you can keep tabs on essentially every aspect of the PC configuration. As with System Information for Windows, there is a great network monitoring tool which will find most devices with an active IP address on the network. 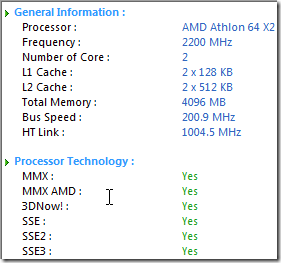 Not only does it offer hardware, software, and network configuration data, but also includes a very nice Benchmarking tool under the Benchmark section of the left menu. With this you can benchmark the CPU, RAM, Windows, Global, L1 and L2 Cache, Video, removable media, even MP3 Compression among others! As shown above PC Wizard shows an easy to understand graphical representation of results, and you can also get text info by selecting the Information tab. 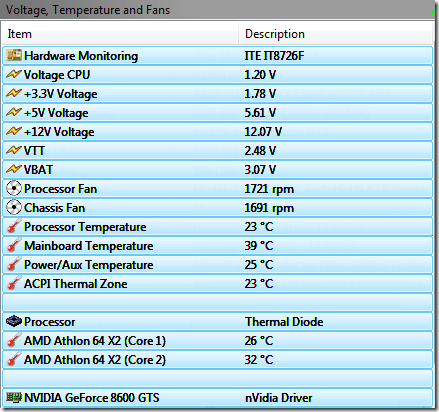 If you keep PC Wizard running, when minimized there is an small onscreen display that will show CPU data. It is basically a gadget, and you can move it wherever you want, without needing to keep the Vista Sidebar running. 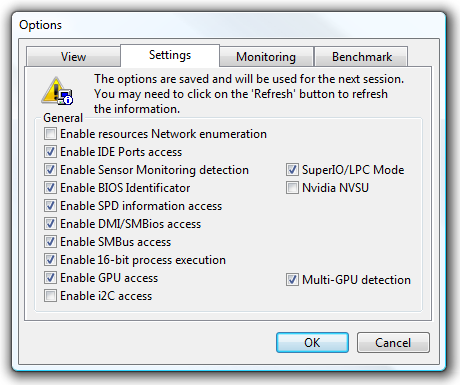 There are plenty of settings you can change based upon what behavior you want PC Wizard to take during scans, monitoring, and benchmarks. After making any changes to the configuration a restart is required which is only a slight inconvenience if you change setting regularly for testing. Whether you are curious to see how your PC performs, trying to build the ultimate gaming rig, or you are an overclocker, PC Wizard is a great free utility to have.